We conducted a phase II study involving a single administration of intraperitoneal chemotherapy with paclitaxel followed by sequential systemic chemotherapy with S-1+ paclitaxel for advanced gastric cancer patients with peritoneal metastasis. Gastric cancer patients with peritoneal metastasis were enrolled. Paclitaxel (80 mg/m2) was administered intraperitoneally at staging laparoscopy. Within 7 days, patients received systemic chemotherapy with S-1 (80 mg/m2/day on days 1–14) plus paclitaxel (50 mg/m2 on days 1 and 8), followed by 7-days rest. The responders to this chemotherapy underwent second-look laparoscopy, and gastrectomy with D2 lymph node dissection was performed in patients when the disappearance of peritoneal metastasis had been confirmed. The primary endpoint of the study was overall survival rate. Thirty-five patients were enrolled. All patients were confirmed as having localized peritoneal metastasis by staging laparoscopy. Eventually, gastrectomy was performed in 22 patients. 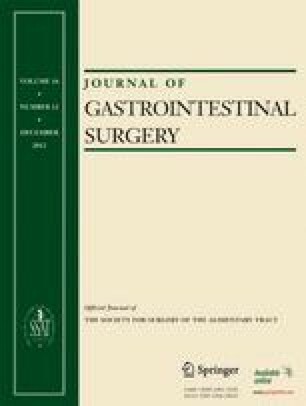 The median survival time of the total patient population and those patients in which gastrectomy was performed was 21.3 and 29.8 months, respectively. The overall response rate was 65.7 % for all patients. The frequent grade 3/4 toxic effects included neutropenia and leukopenia. Sequential intraperitoneal and intravenous paclitaxel plus S-1 was well tolerated in gastric cancer patients with peritoneal metastasis. The authors would like to express their appreciation to Dr. Harumasa Ohyanagi, Vice Board Director of the University of KinDAI Himeji, for his expert comments on the manuscript. We also wish to thank Ms. Fusako Kamada for her technical assistance. The study was not supported by any grant.